Is There A Link Between Finasteride And Peyronie's Disease? 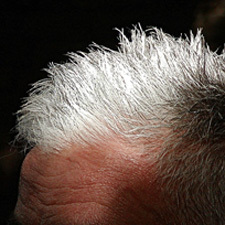 I'm wondering: have you taken finasteride? I've noticed the onset of Peyronie's, or penile deviation, since taking Propecia for hair loss. After stopping, it has not returned to normal. I'm wondering if there is a pattern/trend here and if other men have experienced a similar connection. I have not used Finasteride but I'm aware that some believe there may be link between using Finasteride and developing Peyronie's disease. This is an interesting article about Finasteride and Peyronie's Disease . One of the best known brand of Finasteride is Propecia. Among the most common side effects of Propecia is listed the "trouble getting and keeping an erection". The manufacturer (Pharmaceutical company Merck & Co.) is facing some legal action regarding possible link between Finasteride and Peyronie's disease. The recent Propecia side effects lawsuit alleges the medication caused the plaintiff to develop Peyronie’s disease and prostate cancer. So as you can see, you are not alone suspecting that Finasteride may have caused you to develop Peyronie's disease. Unfortunately, Peyronie's is estimated to resolve without any treatment in only 5 – 15% of cases. You don't say if you have already seen a doctor about your condition but if not, then I recommend that you see a specialist in Peyronie's disease a.s.a.p., i.e. to get formal diagnosis and discuss your options. Because the sooner you start treatment, the better results you can expect. I'm attaching link to couple of articles that may be of interest to you at this point.